You know those books that you just want to look through over and over? They are the books that are so delightful that you want to climb in the pages. 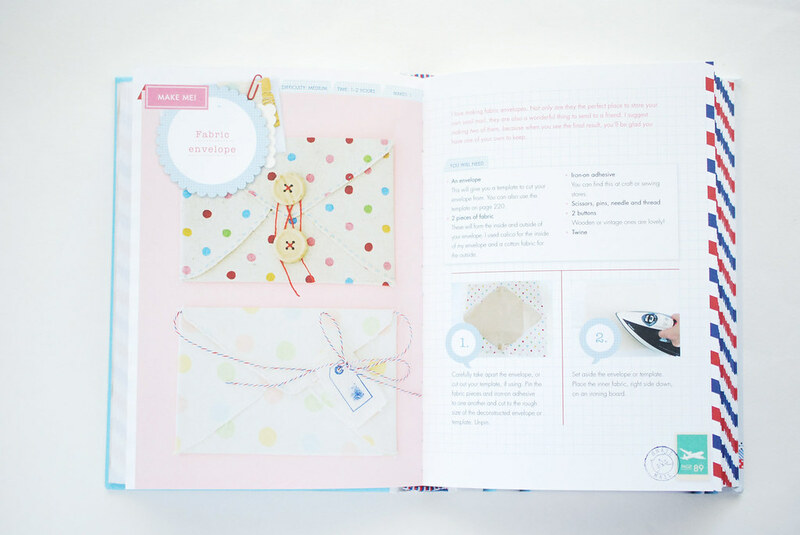 Snail Mail: Rediscovering the Art and Craft of Handmade Correspondence is one of those books. If I'm being honest, I'm terrible at snail mail. Sometimes I'm pretty bad at email too, but for some reason I find it difficult to get things posted in a timely fashion. (Ask anyone who has ever expected...or is currently expecting...mail from me!) But that doesn't mean that I don't still love mail. I love both sending and receiving something sweet through the postal service. 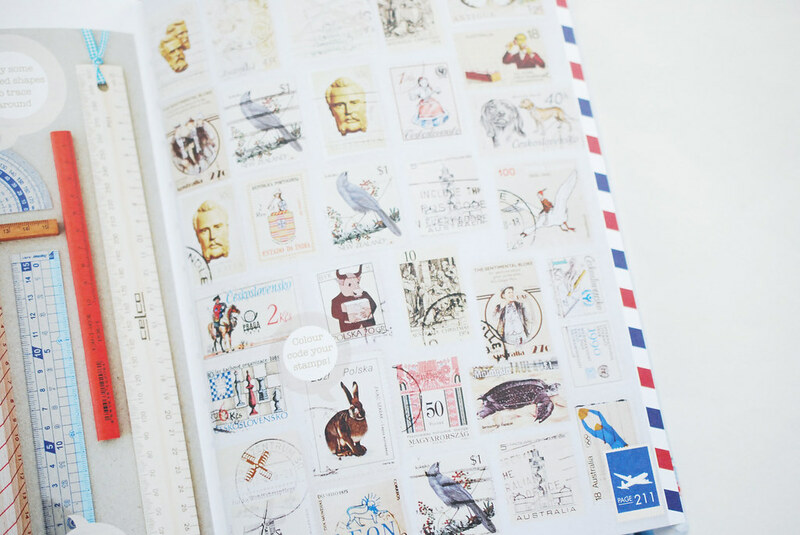 And I admire beautiful envelopes, stamps, and mail art. Even if I can't quite accomplish that very well on my own. Michelle Mackintosh's book is full of all of these things, and more. 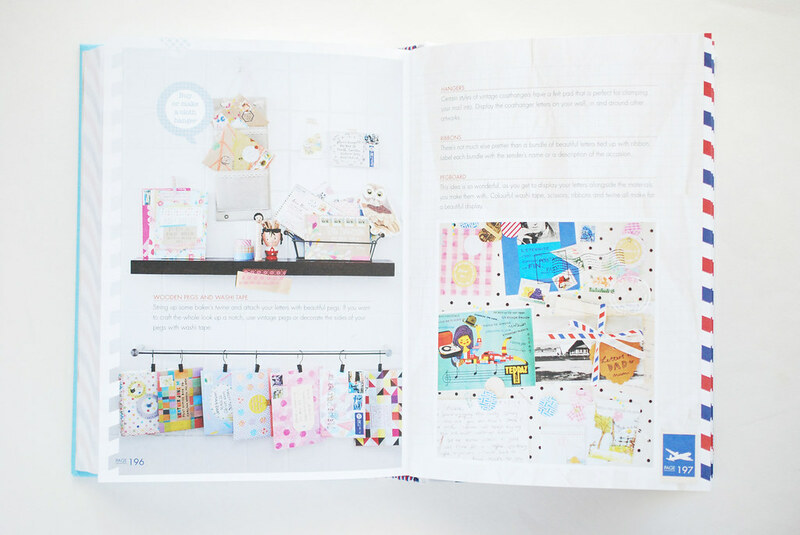 It's a guide for how to write different kinds of correspondence, how to make it pretty, and everything in between. And I'm quite confident that it's going to do wonders for me and my mail habits. 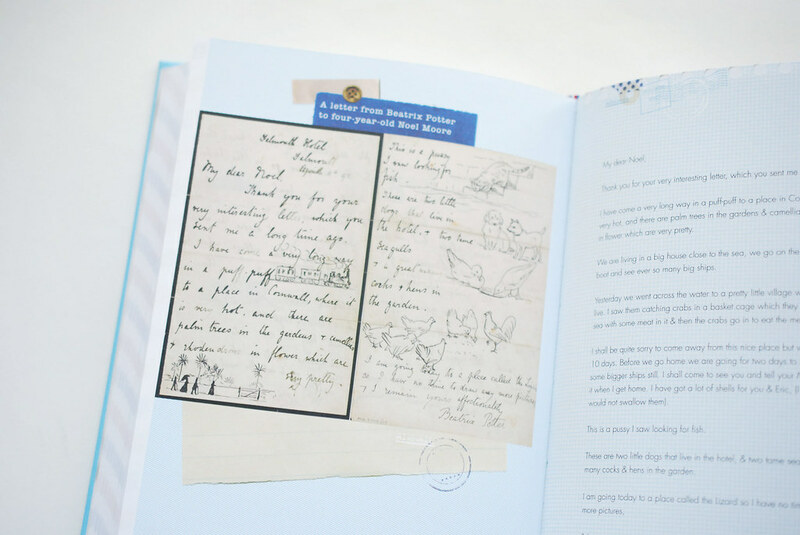 Throughout the book, there are quotes and letters from famous folks. 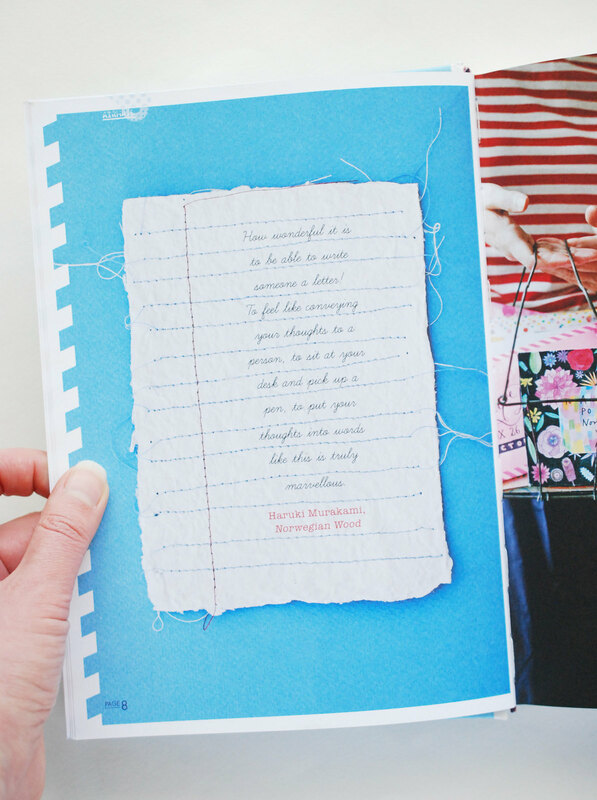 The quotes appear on handmade paper (for which there are instructions to make your own! ), and the letters are shown in their original format as well as being transcribed for when you can't quite make out Beatrix Potter's handwriting. But let me tell you...I just love her doodles! 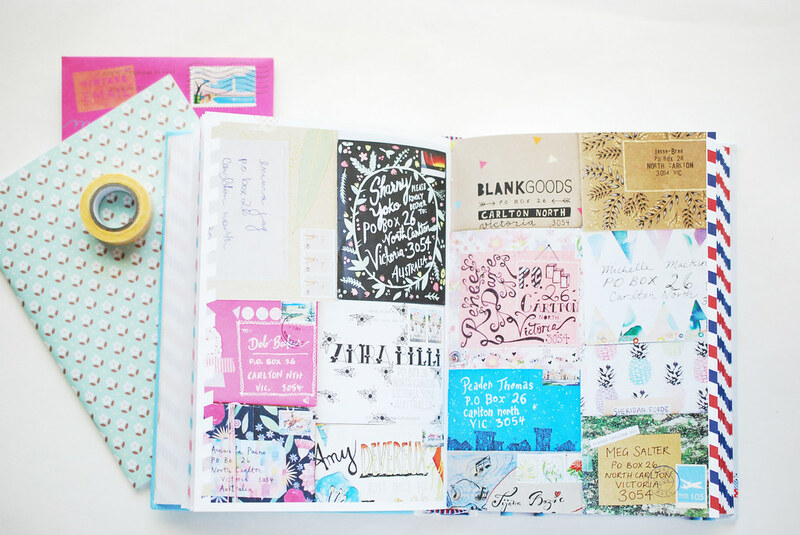 Not all snail mail comes in the form of a letter, and this little "Make Me!" 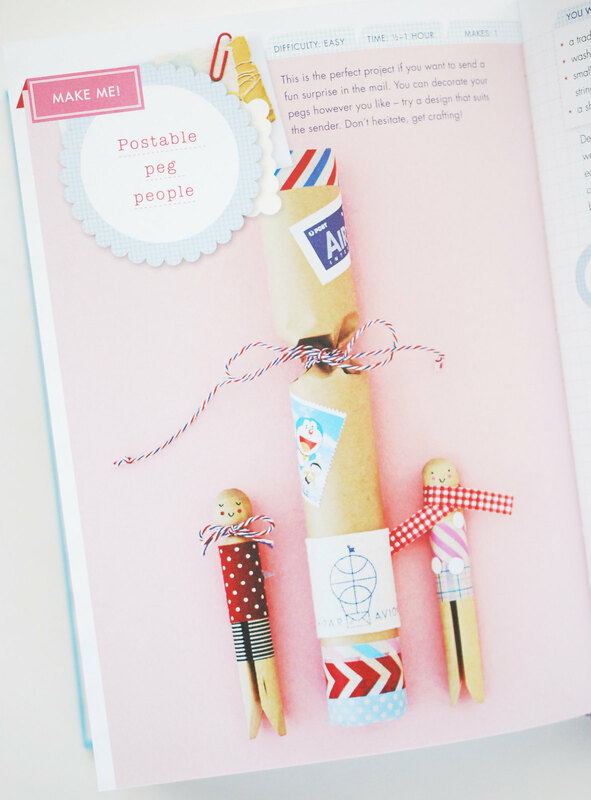 shows how to make and mail some peg people in a very cool package. I'd be completely delighted if this appeared in my mail box! 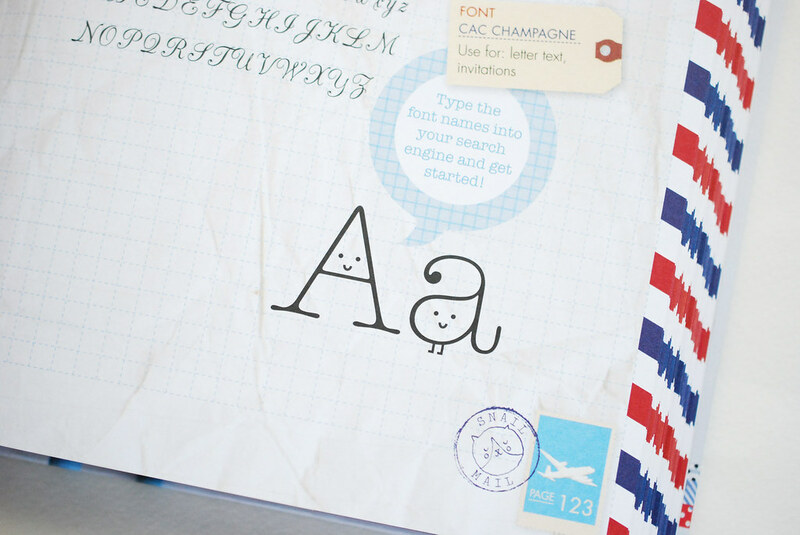 To encourage handwritten notes and letters, there are handwriting helps. For when you just need to type it out, the author shows some very wonderful fonts. For some reason, these letters were especially appealing to me. Want to display your collection of letters or other postal-ish items? There are ideas for that too! 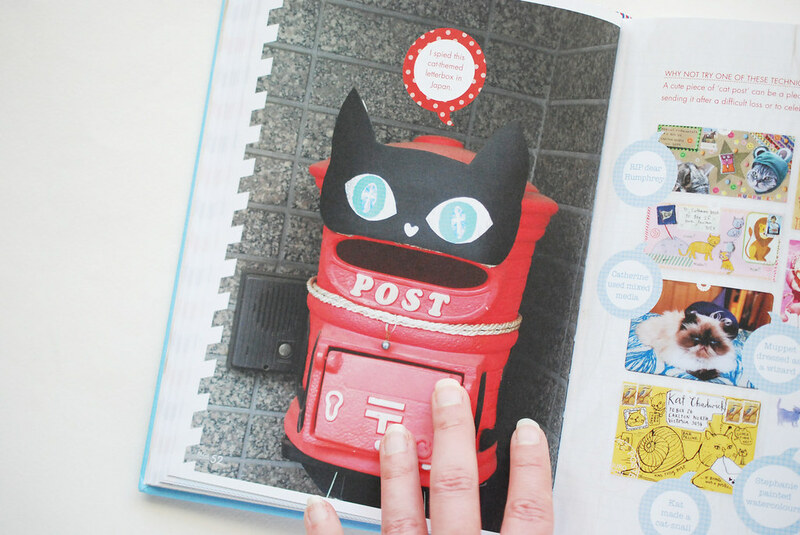 And what book about mail would be complete without a photo of a kitty post box? If you couldn't already tell, I'm smitten with this book. The hard cover, matte pages, and stripy sides are all kinds of wonderful. 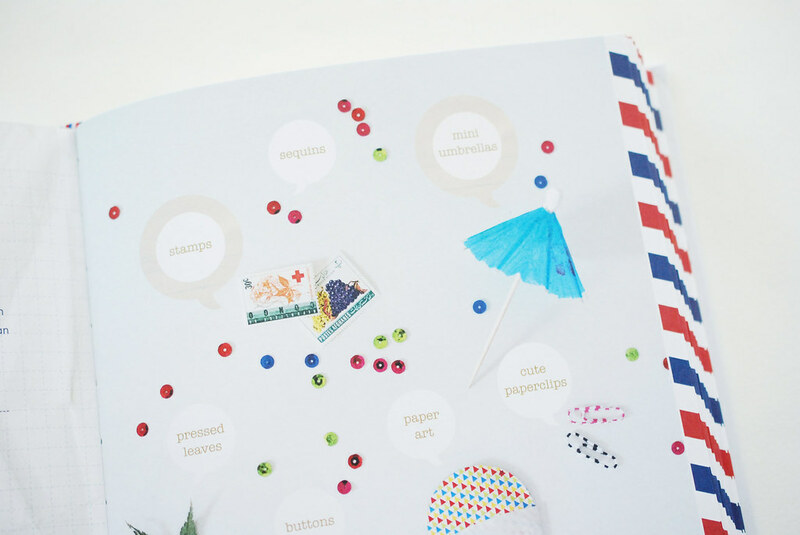 So are the pages of stickers at the back. Also, it smells nice. 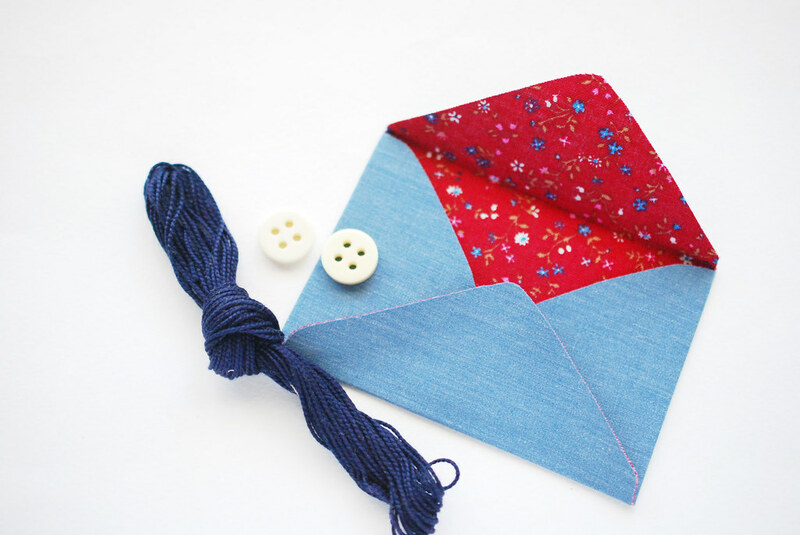 Since I love a good DIY, I've started making a tiny fabric envelope like the one shown on the cover of Snail Mail. Not only is it made with materials I love and with some stitching, but it's also tiny for extra cute! 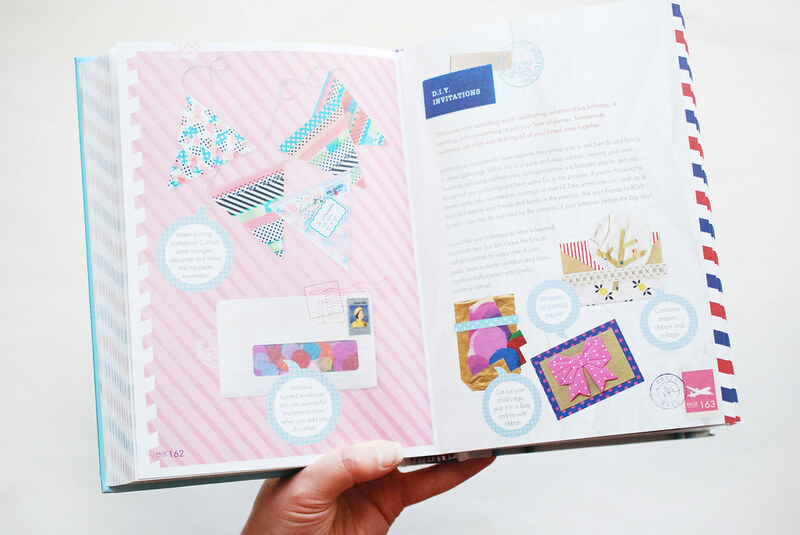 While you go order yourself a copy of Snail Mail: Rediscovering the Art and Craft of Handmade Correspondence, I'll be gawking at pretty pictures of precious post! 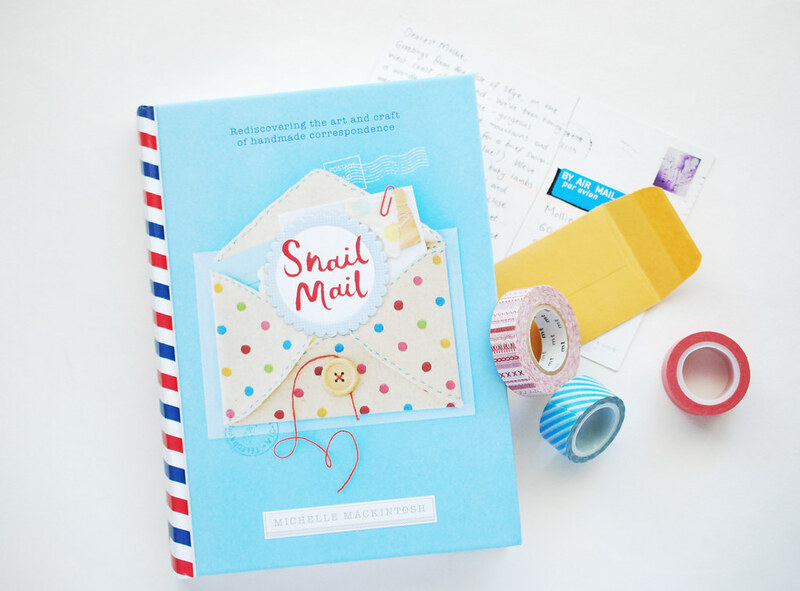 I received a copy of Snail Mail for review, but the opinions, as crazy fangirl as they are, are entirely my own. You can't make up enthusiasm like this! When I was a kid I had so many pen pals. We used to make things for each other and say thoughtful things. Sometimes I miss that, but I don't think I have the patience anymore. This reminds me of those days. Oh what a gorgeous book!! There is nothing better than sending a hand written letter, well perhaps other than receiving one! Super thoughtful and allows optimum creativity! 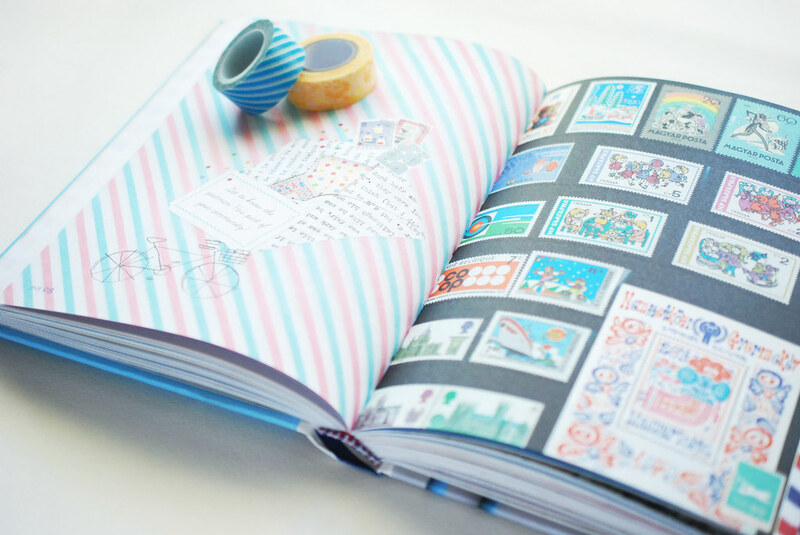 This book looks like the idea purchase for a snail mail lover such as myself. Onto the wish list it goes!! I used to write epic length letters. Usually when I was bored. I bet there are some doozies out there somewhere! This book could inspire me to get back to all that!